Meet ONAM : A Compliant-friendly Exchange Built with You-In-Mind!! After the collapse of the global economy in 2008, blockchain technology replaced traditional bank system as a better store-of-value system due to its high level of security and privacy. However, this potent tool is ridiculously poor at transfering value as its speed of transaction is too low when compared with other value exchange platform such as paypal, visa e.t.c. This is the primary reason why exchanges were initiated in the first place; that is, to drive an economy of value transfer easily. So far so good, through the activities of this exchanges, many interested party has gained entry into the cryptocurrency space without much fuss. However, the cryptocurrency space still has more room for growth since it has barely even hit the $1 trillion dollar mark and the reason for this is not a farcry from the distaste of many businesses and investors about the technology. 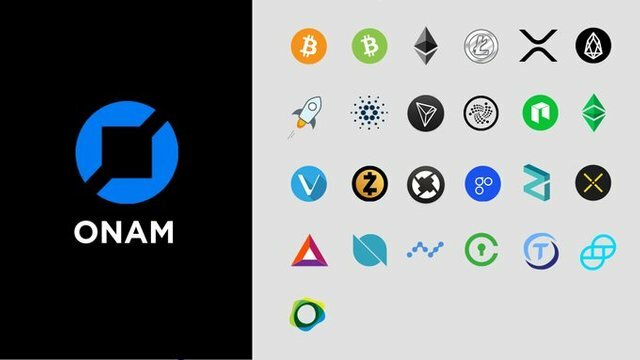 ONAM is a compliant-friendly cryptocurrency exchange. Their aim is to have an exchange institution that address all the challenges the present exchanges are facing by using latest technology that is capable of handling the present and future market demands, hence mass adoption. 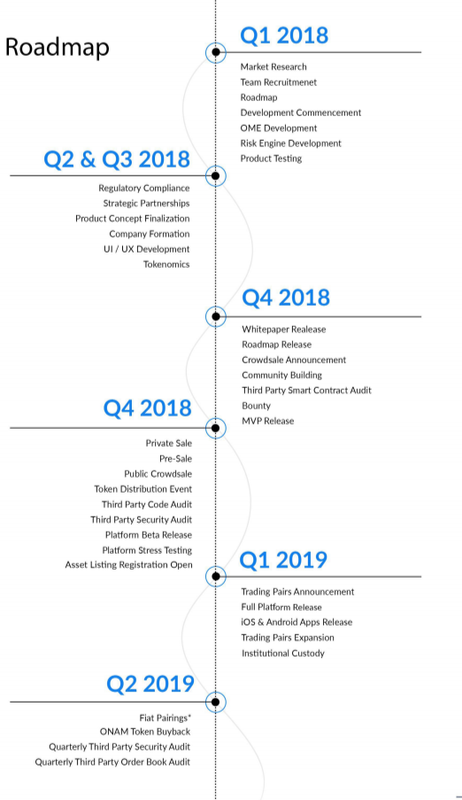 And this is why they take security, scalability, compliance and customer support very seriously....let's take a look below at reasons why you must choose Onam! These features act as a complementary function to help traders balance their trade conveniently on a daily basis. Secure with machine learning algorithm to detect and flag unusual activity and manipulation within the system. Strong regulatory framework to support businesses and institutional investors. Fast and reliable customer service response. BitGo is reverred as the market leader in institutional-grade cryptocurrency investment services. Hence, they offer custodian services to large institutional investors which covers the institutional-grade policy control, 100% cold storage with multi-signature feature in bank grade vaults for more than 75 cryptocurrencies. Therefore, Onam partnership with BitGo is a two-way street and holds many benefits for institutional investors alike since they will enjoy the dividends of using an exchange that is compliant friendly where they can easily exchange their asset at the market value while traders can get to enjoy tonnes of liquidity from this relationship as well. Onam exchange recognise the obvious benefits of exposing blockchain technology to the businesses and institutional investors. 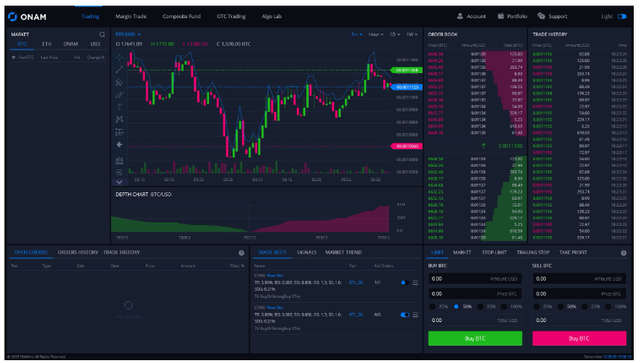 This is why they are building one of the fiercest exchange till date; to handle the robust nature of cryptocurrency trading and transfer for businesses and investors alike in a regulated, transparent and secure environment. Hmo is s retail outlet which has many branches scattered around lagos metropolitan city. They noticed lately that most of their customers prefer to patronise a nearby outlet which has incorporated the bitcoin cryptocurrency as a means of payment. They are determined to win the market back and they decided to implement the same technology which the other outlet uses to accept cryptocurrency payment. However, their first foray into the cryptocurrency world wasnt succesful atall as the trader incharge of managing their asset complained of difficulty in reconciling the account balances due to price unpredicability caused by high volatility of the market. They opt out but was still not contented watching their close neighbour make huge sales from accepting cryptocurrency along with other payment method. On making more research, they discovered their neighbour have being using an exchange where they can easily reconcile their asset with its market value easily and also get to store their asset on a secure vault while channelling all transactions in real-time!. 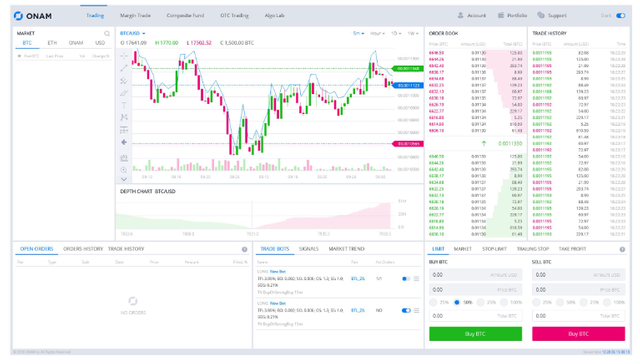 That exchange is ONAM!, with its high liquidity coupled with rich order books, it is able to find market for assets listed within the platform.